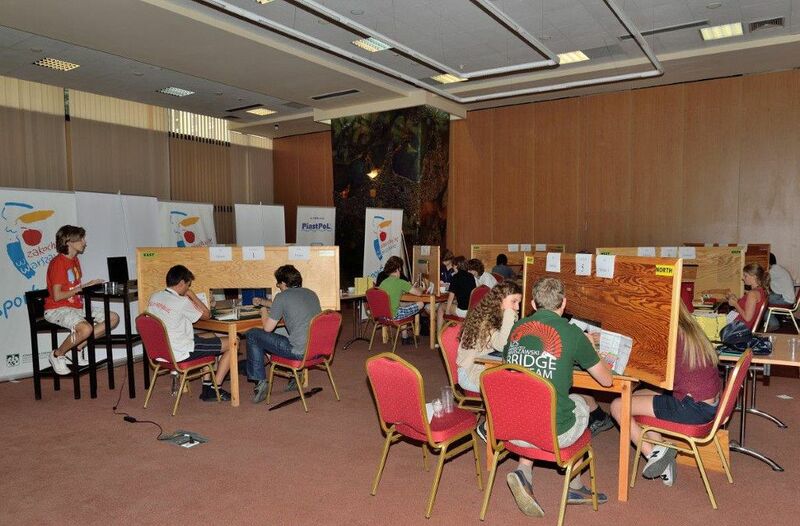 The European Universities Bridge Championship took place in Warsaw at the same time and consisted of several competitions in Pairs, Speedball, Teams and Butler. 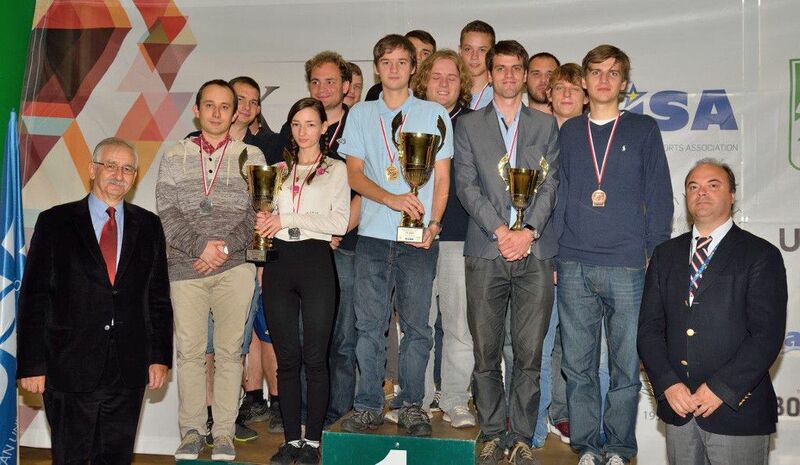 In the Team ranking, the Institute of Chemical Technology, Prague (CZE) won gold, with the University of Warsaw 1 from Poland winning the silver and the Wroclaw University of Technology the bronze. 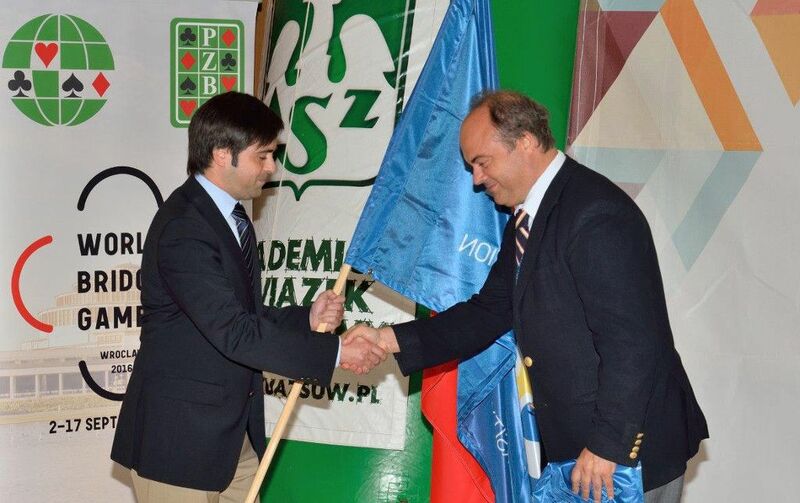 Medals and awards were presented by EUSA EC Member Fernando Parente, EUSA Technical Delegate Geert Magerman, European Bridge League Representative Harry Van De Peppel, Organising Committee EUC Bridge 2017 representative Rifaat Chabouk and Vice-President of the Polish Bridge Union Rudolf Borusiewicz. 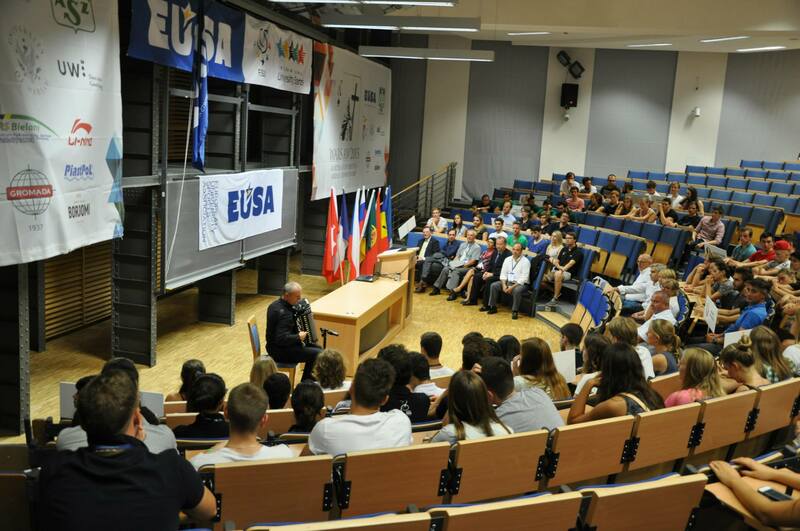 Mr Chabouk took over the EUSA flag at the end of the ceremony, as the next European Universities Bridge Championship will be hosted together with the Chess Championship as mind sports in Fuengirola, Spain in 2017. 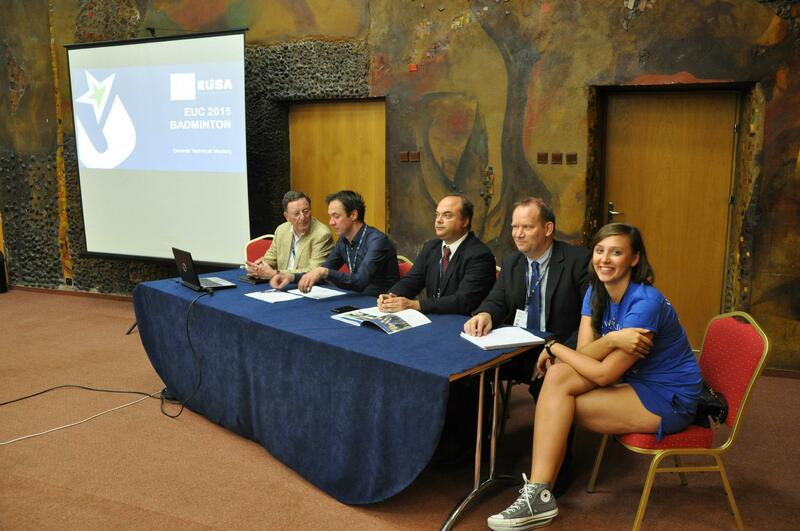 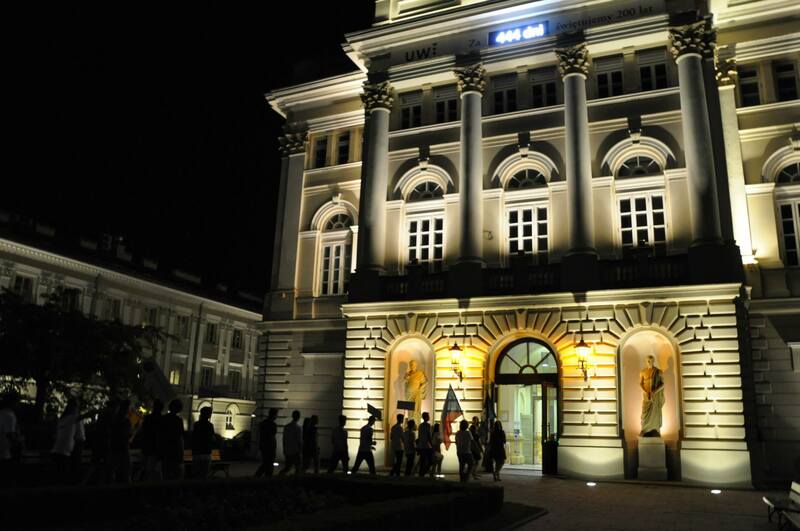 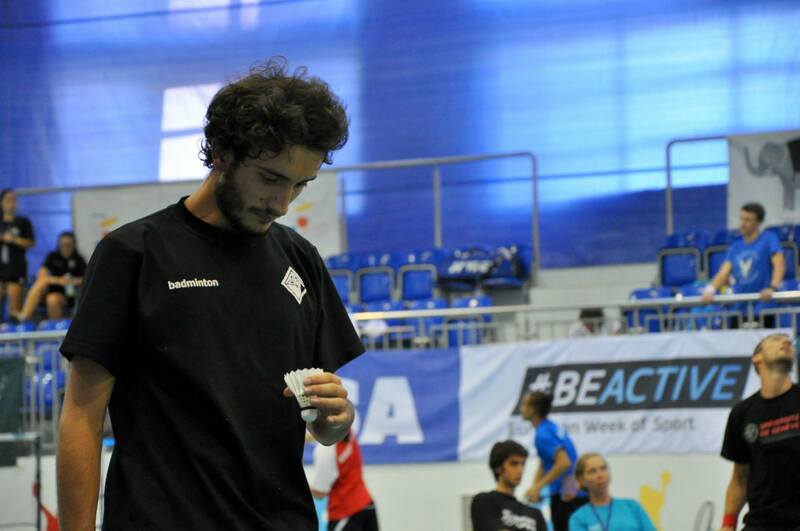 The next European Universities Badminton Championship will take place in Ljubljana, Slovenia in 2017 and both badminton and bridge will be one of the sports of the European Universities Games next year in Zagreb and Rijeka.